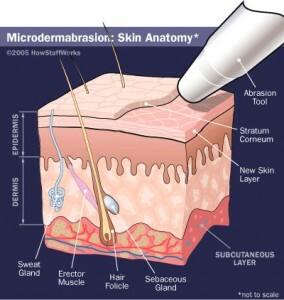 Microdermabrasion is a general term for the application of tiny rough grains to buff away the surface layer of skin. Many different products treatments use this method, including medical procedures, salon treatments and creams that you apply yourself at home. It’s usually done to the face, chest, neck, arms, and hands. Laguna Laser offers an evolution in microdemabrasion technology to achieve smoother, more youthful skin. Our resurfacing treatments are for both men and women that are interested in improving the appearance and health of their skin. By removing the topmost dead layer of skin cells microdermabrasion leaves the body more supple and vibrant with a non-invasive, pain-free treatment.